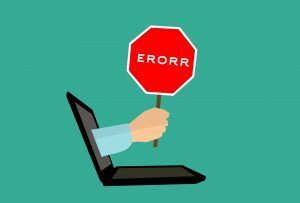 A lot of reasons can account for the continued presence and rise in the number of SEO writing mistakes we see on the websites today. It could be the rise in the number of inexperienced writers (mostly, anyone with a computer that wants to make extra bucks for themselves via freelancing); writers focusing too much on the amount of traffic they want to pull to their website page. They pay little attention to the credibility and readability of their post; writers who are just too stubborn to move with the times or just plain old ignorance. It’s common practice for people to create the post without proper background research into the topic they’re writing about. If you make this mistake, you are telling your clients, readers and prospective customers that you are incompetent and therefore unable to provide them with the quality of products and services they require. Moreover, it can make a dent in your reputation and you know that first impressions are difficult to change, will cause you to permanently lose customers and clients. Instead of taking the easy way out, take your time to research and understand what you are about to write on. It will pay off. You want to bring people to your page and keep them there. Frequent among the brainchildren of inexperienced SEO writers. They tend to fix and force keywords into every line and paragraph not giving a care in the world if the resulting sentence is meaningless. In most cases, they make use of the keywords so much that it’s past the threshold for an acceptable SEO writing. Engaging in this will make even the most credible contents sound like gibberish. According to Search Engine Journal, your writing should display a perfect blend of your keywords and everyday language. Having too little knowledge about the subject can sometimes result in dull posts. Make sure to write in a way that is engaging and exciting. If you’re not sure about the tone of your content , read aloud to yourself, and if it’s not very comprehensive and sounds dull, reword your statements. No one says you have to do all the work yourself, ask one or two family members or friends to proofread. Also, ensure your sentences are not long and ambiguous. A little question here and there in your post can engage the thought processes of your readers. What information do you want to convey to your customers? Are you doing that effectively? Do you feel what you have written has addressed all that needs to be addressed? Writing purely with SEO on your mind is a bad tactic. What was the purpose of writing? Focus more on delivering that information to your readers and focus less on SEO. Over-optimizing your contents can risk you getting penalized by Google . In my professional opinion, I’ll say give 85% of your focus to the contents and originality of your post and 15% of SEO. Here, less is more! Why go through all this stress to create a post? Well, when has anything good come from taking the easy way? The result of your taking your time to research and produce top-grade articles is that it puts you ahead of your competitors, raises your search engine rankings, and what’s more, you feel satisfied and accomplished with your finished work.